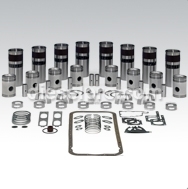 Regardless of what type of Detroit Diesel engines you have, making sure that you have the appropriate parts is essential to preserve the life and health of your engine. As everybody who deals with diesel engines knows, the key to prolonging the life of your engine and keeping it running at its best is by keeping it regularly serviced and maintained. It might be necessary to periodically change out some of the parts in your engine when they malfunction, become damaged or otherwise stop working to prevent other, more severe problems from occurring. 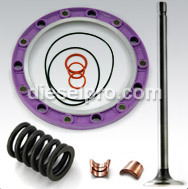 When you're in need of Detroit Diesel parts, Diesel Pro Power is the best company to turn to. 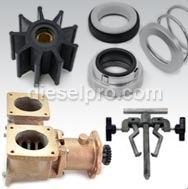 On this page, we have all the 8V149 Natural Detroit Diesel replacement parts that you will need for you 8V149 Natural engine. It is crucial that you only put 8V149 parts in your engine since those are the parts that were specifically designed to go in your engine and can therefore reassure you that there will not be problems with your engine. Please note that even if another model part fits in your engine, it is not advised to use that part in your engine. Even if your engine might function well with the wrong model part, the wrong part could be causing much unknown internal damage that is will cost you much more to fix than it would have been for you to ensure that you got the correct part originally. 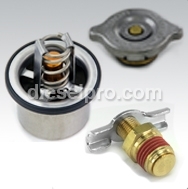 When you order 8V149 Detroit Natural Diesel replacement parts with us, you can be ensured that you'll get your order quickly no matter where you're located. We ship within 24 hours, and we ship internationally for your convenience.